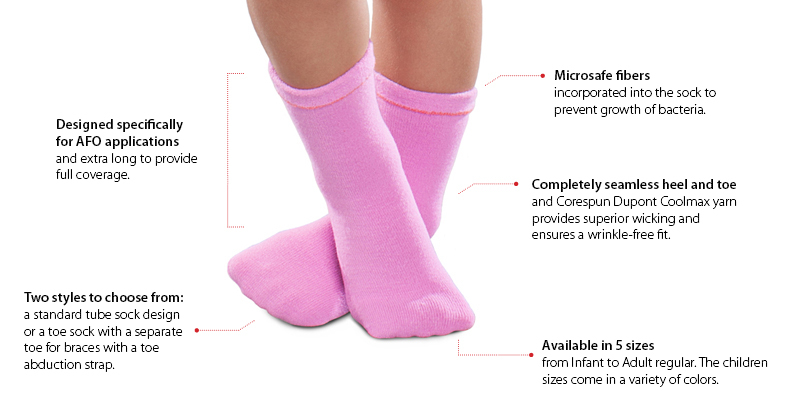 We sell Knit-Rite® SmartKnit® socks—seamless, wrinkle-free socks designed specifically for use with orthoses. For compliance with higher AFO styles, consider a sports sock that, when worn inside out, is high enough to fold back down over the leg part of the brace. Soccer socks work well and come in lots of colors.